DENVER – Firefighters will continue to battle Mother Nature as they work to contain multiple large wildfires burning in Colorado this week. Several new fires broke out last week amid hot, dry conditions and those challenging conditions will persist in the coming days with little chance of new moisture in most parts of the state . 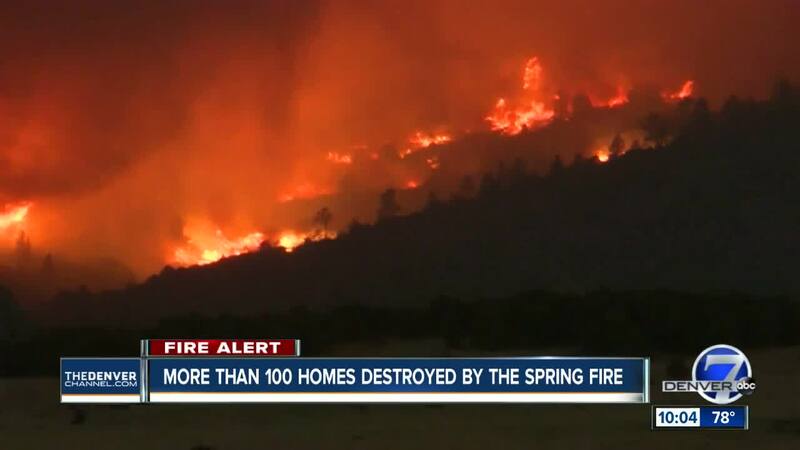 The Spring Fire in Costilla County, which started on Wednesday, has destroyed 104 homes and is now the largest fire burning in the state. Fire officials said Monday night that the fire, which is burning between La Veta and Fort Garland, is more than 56,800 acres in size. 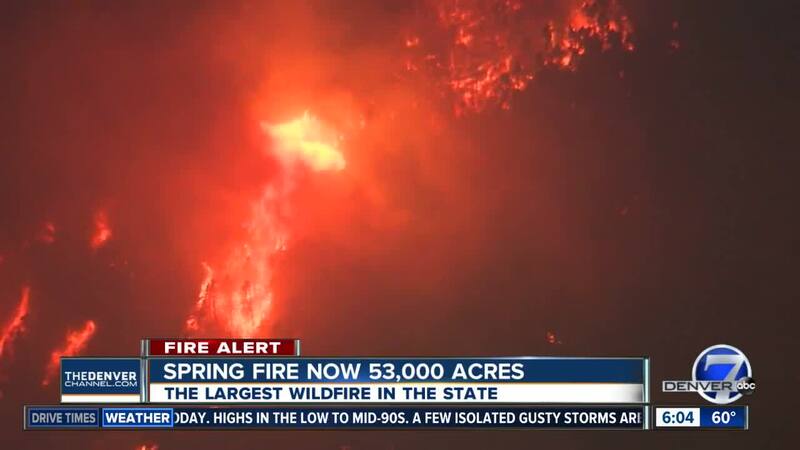 It’s now 10 percent contained. Highway 160 remains closed due to fire activity. There is no estimate of reopening at this time. Highway 12 is also closed in the Cuchara Valley area due to mandatory evacuations. A total of 593 homes have been evacuated in Costilla County, while 1,483 homes have been evacuated in Huerfano County. A community meeting for those who have had to evacuate their homes is scheduled for 1 p.m. Monday at the evacuation center at the Blanca/Fort Garland Community Center, 17591 E. Hwy. 160. Road closures are in place at the intersection of Moffat County Roads 7 and 17; and Moffat County Roads 7 and 5. One home was destroyed near the Town of Divide.